How are your 2016 resolutions? Need a better solution? So we are heading into the end of February. How are your resolutions going? Are they a thing of the past? Perhaps it would be more helpful and useful to choose a word for the year, or even a quarter or month, that can help keep your mindful focus. Based on what many recent clients are coming to me for, perhaps the word of the day should be RELAX or STRESS-FREE? I like to put a post-it on my computer with my word of the day/month, etc so that it can remind me and inform any decision I am making. As in, am I being true to myself and my desired goal at the moment? If not, then maybe I shouldn’t do X,Y or Z at the present moment. My word at the moment is FOCUS. Am I doing too much all at once or am I truly focused on whatever is in front of me? I would love to hear what your word is at the moment and how you keep it in front of you and alive. 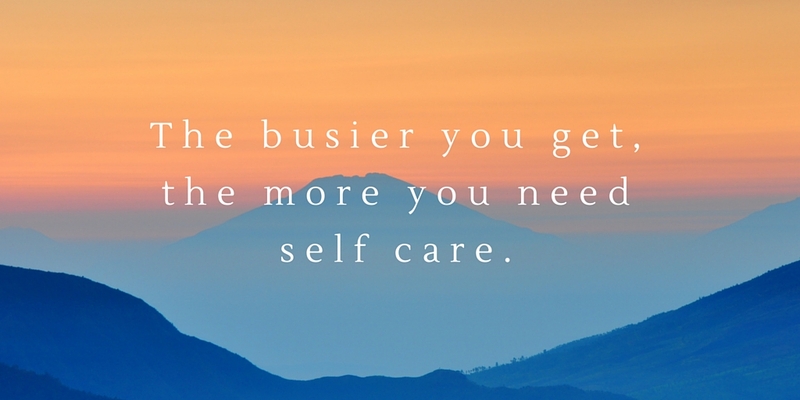 What are your daily self care regimes?